Here's what you do Luke. You make the wave that we've been missing from Avengers Infinity War and send one pack each with purchases of multiple Endgame minimates. It's literally just some empty minimate trays filled with dirt and labeled with certain characters. That way we Multiversers can trade our boxes of dirt. Because I kinda want a Dusted Starlord/Drax Two Pack while someone else may be more into the Dusted Falcon/Winter Soldier two pack. I must have that Thanos pack and the Cap pack. I must. It’s necessary. Sooooo... how about that endgame clip huh? Pretty neat. Cap calling Thanos a bad word and all that. Good stuff. Good stuff. Yeah. Personally I suspect that every single one of the Endgame sets are blatant lies in every way. INTO THE SPIDERVERSE the whole damn movie Miles Morales Spider Man Peter Parker with both Spiderschlub and Spidersuccess alt heads SP/DR with Peni parts beneath Noir Spider-Ham Spider-Gwen The Prowler with Aaron Davis head The Kingpin Olivia Octavius The final slot I’m undecided on between Miles in his crap Spider suit, Aunt May, Jefferson Davis, and Stan Lee. I’d accept Scorpion or 2099 too though. How dare you disparage the Spider-Buggy that way. The lack of it in our lives is a travesty. 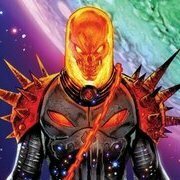 I want a Cosmic Ghost Rider made before he disappears into the ether for sure. I like that character. He was a good addition to the canon. I also want DUCKERNAUT from that Guardians team he fought. Your face is a stupid design. ... It... it could give us Spider-Ham... The precious wonderful Spider-Ham.